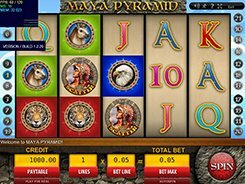 Maya Pyramid is a 5-reel 21-payline slot developed by Gamescale and themed around the Maya civilization. 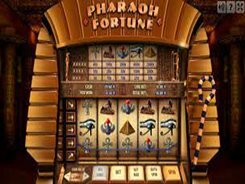 The slot features an expandable wild, two scatters and a highly rewarding Pyramid Bonus that may bring you a great cash prize. You may activate any number of paylines and select a line bet from $0.1 to $5, so the floor and ceiling stakes are $0.9 and $105, with all lines enabled. The symbol set incorporates classic playing cards from 10 to Ace, a horse, an eagle, a tiger, a dragon and other theme related icons. Dragon is the best paying icon that awards up to $50,000 for five of a kind. Another great feature is an expandable wild depicted by a Mayan Queen. Whenever the Mayan Queen appears on the reels, she expands up and down that reel to cover all symbol positions, thus creating more winning opportunities. Look out for the Pyramid symbol as three of them scattered anywhere trigger the Pyramid bonus played on the second screen. 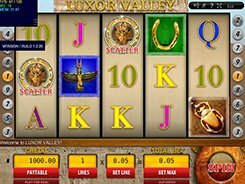 Finally, there is a scatter symbol (Mayan Warrior) that pays out x2 to x50 times a total bet if three or more of them land in any position. PLAY FOR REAL MONEY!